"Where paradise lay" is by the Green River in Kentucky, as sung by John Prine. His lyrics could just as well describe any of the seemingly endless, blissful waterways of this state. In Kentucky, you can find your own paddling paradise on lazy backwoods rivers, downtown waterfronts, neighborhood creeks, bluff-lined lakes, steep whitewater, or even in the depths of caves. The origin of Kentucky’s story lies far back in time, and it lies underwater. The varied layers of rocks exposed today in the bluffs, boulders, and caverns were formed by sediments accumulating beneath a large body of water that covered the state. Over time, sea level receded and tectonic activity uplifted much of the continent, leaving these waterborne layers high and dry. The climates of more recent geologic history brought rain that continues to shape the land by erosion, and feeds the numerous freshwater bodies that today continue the cycle by sweeping age-old rocks back into sands. These waterways have sustained the story of people in Kentucky as well. All of its cities are located on a river or creek, as there is no shortage to choose from. Settlement always centered around water for sustenance of course, but also because of its utility as a means of transportation—for the purpose of floating and paddling. In the early days, Kentucky’s densely forested and hilly terrain was difficult to get through, so the rivers offered much easier paths. Major waterways like the Ohio, Tennessee, Kentucky, and Cumberland Rivers provided avenues for westward expansion toward the mighty Mississippi River. River tales quickly became ingrained in Kentucky’s history. Its major cities were established as river ports for trade. Before they came to be, explorers and miners were using the waterways to discover Kentucky’s natural wealth. Daniel Boone followed the path of the Russell Fork to a pass through the mountains from Virginia. Prospectors panned for silver in mountain streams, but instead found rich coal beds exposed in the valleys. The Ohio River played a particularly colorful role in the history of the state and of the country. Traders floated between Kentucky and Illinois to reach the Mississippi, where they braved ambushes from pirates who hid in caves on the banks. At the same time, Honest Abe Lincoln himself worked as a modest ferry boatman in this region as a teenager. This legacy of floating continues today. 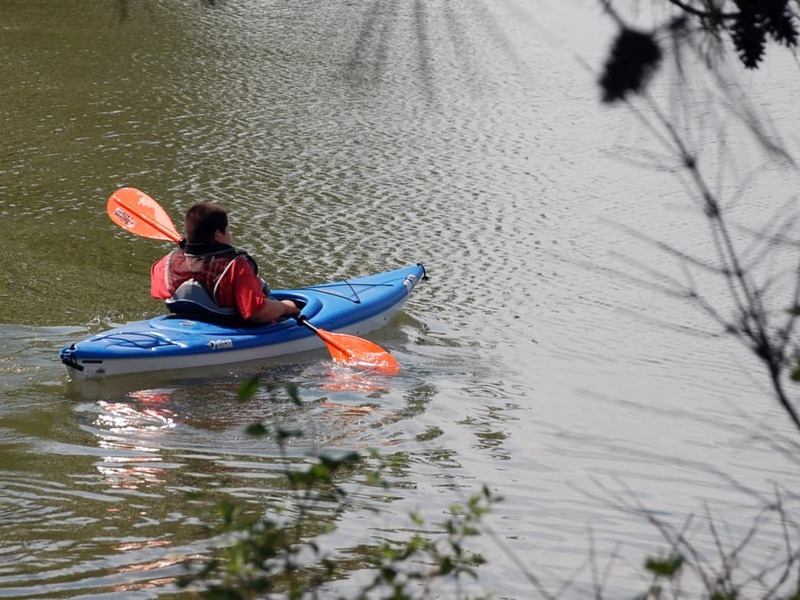 While certain waterways are still used for commerce, more people have realized their potential for recreation as well, and many rivers and lakes are now popular paddling destinations for locals and visitors alike. The designation of municipal, state, and national park lands in the state, as well as widespread organizing of clubs and outfitters for boating have made excellent use of Kentucky’s waters and established it as one of the top paddling states in the country. Kentucky’s sloping topography creates rivers of many sorts, but few natural lakes. Impoundment projects have constructed dams across the state and now there are numerous lakes that, together with naturally slow-moving rivers, make an abundance of destinations perfect for paddlers of all abilities. Every major city has its own options nearby, and some even have designated blueways—corridors reserved for paddling where motors and wakes are not allowed. 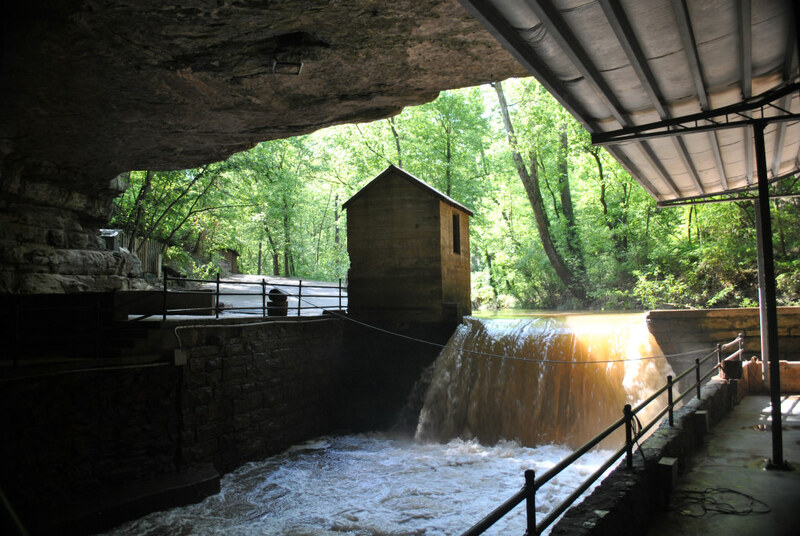 A few good places to start are the Parklands of Floyds Fork near Louisville, Barren River in Bowling Green, Levisa Fork in Pikeville, Rough River, and the Cumberland River. For a special treat, take a kayak tour in the subterranean world beneath Bowling Green to the Lost River Cave. 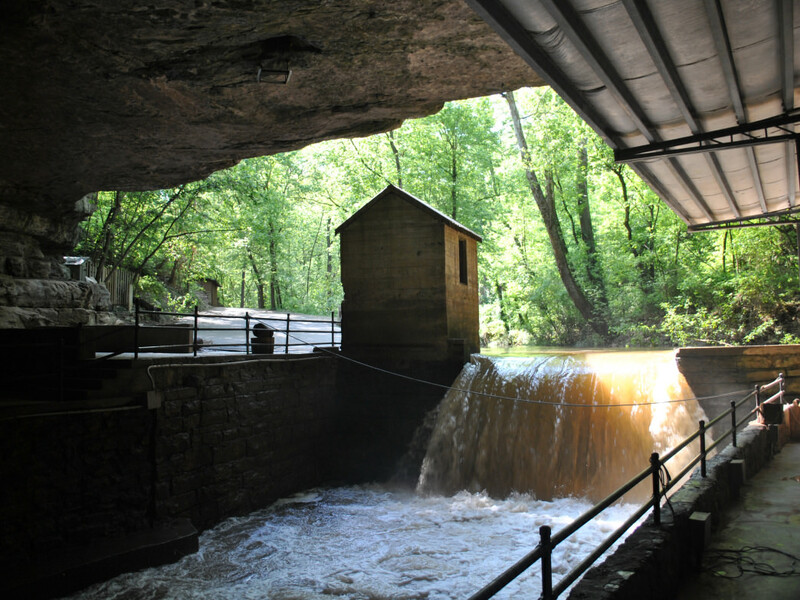 Twenty-five miles of the Green River flow through Mammoth Cave National Park, a great spot for both water and terrestrial adventures. No matter what Kentucky city you find yourself in, you won’t have to look far to find a flatwater paddling adventure. For more remote destinations, take a trip out of town to a place like Land Between the Lakes for 300 miles of undeveloped shoreline in a wildlife refuge, or Natural Bridge State Park for quiet creek paddling among amazing geology. Professional kayakers gather every fall in the woods of Eastern Kentucky, where a deep gorge tucked in the folds of Appalachia hides a perfect gem of tumbling whitewater. The Breaks and the Russell Fork River that flow through this gorge are unknown to most other than locals and kayakers, but it has put Kentucky on the international map for whitewater. Every year since the mid-90s, the Lord of the Fork Race has attracted big-name athletes to pin themselves against class V rapids with names like "Tower Falls," “Fist,” and “El Horrendo” in friendly competition with other boaters. The expert-only waters of the Russell Fork Gorge are clearly not for everyone, but Kentucky offers plenty of less intense whitewater to satisfy a range of skill levels. With proper equipment, experience, or guidance you can find anything from class I to class V rapids among steep hills and stone gorges through some of the most stunning scenery in the state. 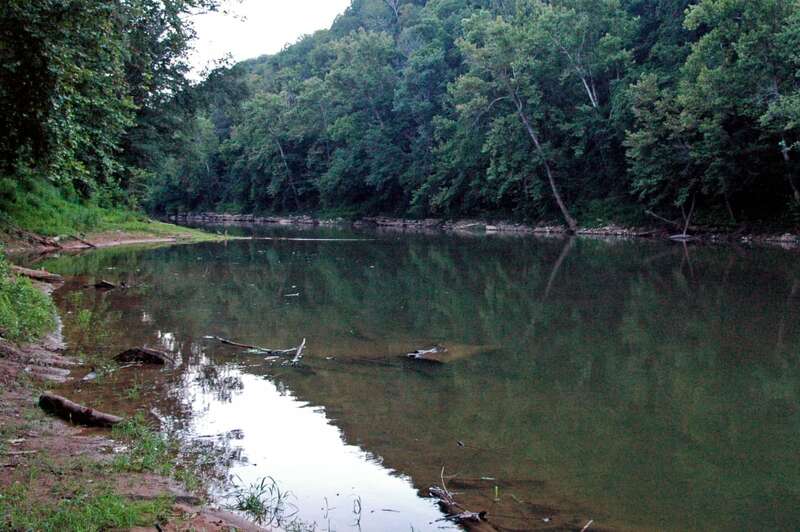 Beginners can learn on Elkhorn Creek near Frankfort or on the Lower Russell Fork, below the gorge. Intermediate whitewater paddlers can improve their technique on the Upper Russell Fork, The Rocks in Bowling Green on the Barren River, the Cumberland River below Cumberland Falls State Park, Big South Fork of the Cumberland, or the Falls of the Ohio for a big-water adventure. Besides the Russell Fork Gorge, experts can test themselves on the precipitous rapids of Grassy Creek, Rockcastle River, or many other steep creeks that swell with heavy rain. With so many types of paddling and locations across Kentucky, it can be difficult to find the best place to start. As part of the state’s story with water, however, many people have made it their passions and careers to be out on the water, and are there to help you do the same. In 1976, the Bluegrass Wildwater Association began boating around Lexington. Today, the club still organizes regular outings throughout the region. Other such groups have popped up all across the state, like Elkhorn Paddlers, Viking Canoe Club, and Louisville Area Canoe and Kayak. There are also commercial outfitters who can supply you with equipment and/or guidance so you can have your own Kentucky paddling adventure. In the Frankfort area, contact Canoe KY. For paddling in Mammoth Cave National Park, ask Green River Canoeing or Mammoth Cave Canoe & Kayak. For rafting adventures, check out Kentucky Whitewater. Other outfitters are spread across the state as well. Go paddling in Kentucky, and find for yourself where paradise lay. Whether in a canoe, kayak, SUP board, or simply an inner tube, you can immerse yourself in Kentucky’s story of water, and write your own adventure as part of it. Written by Jesse Weber for RootsRated in partnership with Kentucky Tourism.